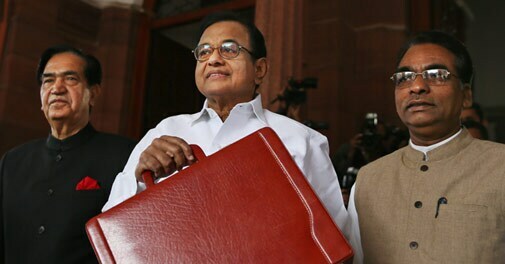 Rejecting description of his interim Budget as populist, Finance minister P Chidambaram said over the last couple of years, the government was trying to do a "rescue act" like every other government in the world was doing. Hitting out at critics of UPA's management of economy, Finance Minister P Chidambaram on Tuesday said the government has "pulled back" the economy from a difficult situation and put it back on a high growth path. "To put it plainly, over the last couple of years we are trying to do a rescue act like every other government in the world is doing. I am at pains to emphasise that we are not alone." "Every Finance Minister says that he is engaged in a rescue act. Therefore what I did in 2013 Budget and what I have proposed in the 2014 interim Budget must be seen as part of getting back growth when the economy in the world is fragile and I think we have succeeded in a fair measure," Chidambaram said in an exclusive interview. When told that his critics would say the problems in India are not only due to international situation, he said, "I did not say that either. But the problems in India and the problems in every country of the world are largely due to the international situation." He acknowledged that in the past some mistakes had been made. "But that is a judgement he makes in hindsight. Given the circumstances then, given the data available then, a decision was taken to have three stimulus packages in succession. He said the points made in the Budget have not gone unnoticed. "I am pleased with the fact that the points that I have made have gone home. They have not gone unnoticed. The worst thing that can happen to either a politician or to an event is that it goes unnoticed." . "You saw the clamour from every section of Parliament. You saw the clamour at AICC session. How do you simply brush aside or reject the demand of the people. After all they are the ones who elect you. No government descends from heaven and says I dont care for the wishes of the people," he said. When told that Gandhi made the demand in AICC, he said, "The demand came from the floor." The government, he said, had raised the quota of subsidised cylinders from 6 to 9 in January last year without any AICC session because there were demands. Asked about criticism that the excise duty relief had come in too late for the struggling sectors, the Minister said last year the principal challenge was winning investor confidence and reassuring analysts and rating agencies that "we are going to put the economy back on more stable foundations." . However, recent data, specially of last 5 months "clearly points to a decline in manufacturing, capital goods and consumer durables. Once the data is available, we take action. I firmly believe, one must have data before one takes decisions," he said. "The fact remains that this government has delivered growth rate above the trend growth rate of the last 33 years. The fact remains that this government has delivered policies that will endure for 10-20 years.